Coming in October 2019 (details) Pre-Order now for estimated shipment in October 2019 (estimated date / subject to change). "Use the Force, Luke." Suit up for the Rebellion against the Empire! The adjustable-fit helmet also features a retractable polarizing visor and speech projector, so you can gear up like the Rebels and blast into the fight against the Empire! 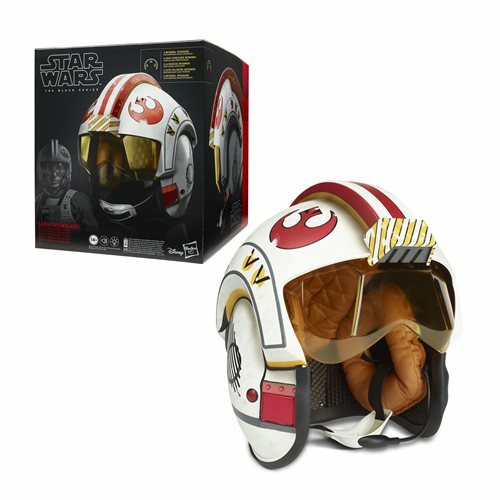 The adult collectible includes the helmet and instructions. Ages 8 and up. - Realistically detailed, movie-accurate reproduction of Luke's X-Wing helmet. - Collector-grade quality helmet with retractable polarizing visor. - Use the straps to adjust the fit.